Wannalight.com respects your privacy. All information collected at this website will be kept strictly confidential and will not be sold, reused, rented, loaned, or otherwise disclosed. Any information you give to wannalight.com will be held with the uttermost care, and will not be used in ways that you have not consented to. Wannalight.com does not sell, rent, trade, loan, or lease in any way any personal information collected at our site, including membership forms, cookies, or email lists. 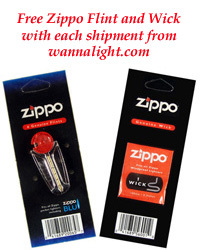 It is the duty of the purchaser to ensure that lighters and other items ordered from us comply with purchaser's local, state, and federal laws. We will not be held liable for a purchaser neglecting to ensure their local compliance with laws and statutes for the obvious reason that these laws and statutes vary tremendously throughout this country and the world. We will not cease in our commitment to follow all local, state, and federal laws which apply to our location. However, it is an impossible task to carry records of every law for every country and counties of countries in the world, so please make sure that the products you are ordering are legal in your area. By ordering from us you agree to hold harmless our company and managing members from any legal action pertaining to the products and use of products you ordered. 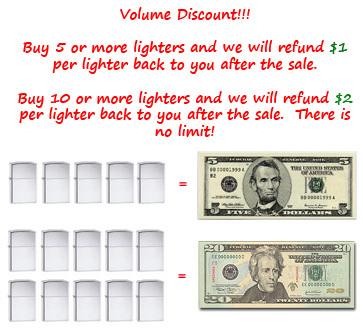 You are agreeing that by ordering any products from us that you have researched and proven that the items you are ordering are 100% legal as determined by your local, state, county, and federal government for your delivery location and the locations in which you travel with products purchased from us. By ordering from us you agree to use our products only for legal purposes. If your local jurisdiction carries a specific tax assigned for any of our products, you will be responsible for voluntarily handling the payment of your local tax. We will not be held liable for taxation which is unknown to us as due, by ordering from us you instead agree to handle local taxation. The one exception is we charge and pay for all state of Iowa sales tax when an order is to be delivered in the state of Iowa, USA. 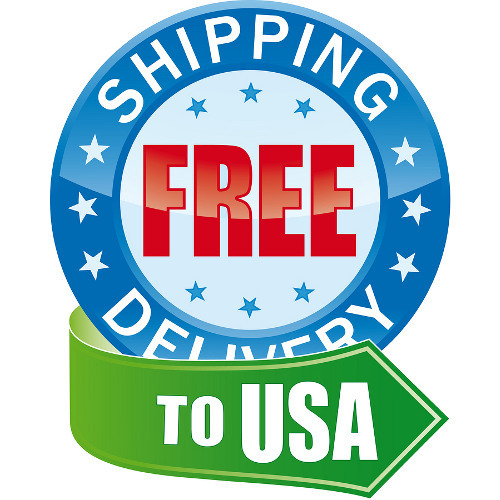 By viewing products within this website and by ordering products from this website, you agree that you are of legal age to do so within your location of delivery. By the use of our website you have agreed to investigate your local laws and requirements prior to browsing products and or order placement to ensure legal compliance. By ordering from this website you understand that it is reasonable for us to assume that we are protected from coercion and entrapment by U.S. law civil protection parameters. This is to say, if an agency of any Government seeks to use coercion or entrapment, we remind this is currently an illegal action in our jurisdiction. We practice a policy of "Almost always we see no reason not to ship out an order as per the laws of our locale." In short, if it is illegal in your location to use, have, or import one of our products, do not order it. If it becomes known by any individual or agency that the sale of any of our products broke a law we would like to know immediately so that we may prevent future prohibited sales. Please email: support@wannalight.com with questions or comments.